The UBC Faculty of Medicine’s Djavad Mowafaghian Centre for Brain Health (DMCBH) is leading a strategic effort to increase our understanding of the brain and neurological and mental health diseases. 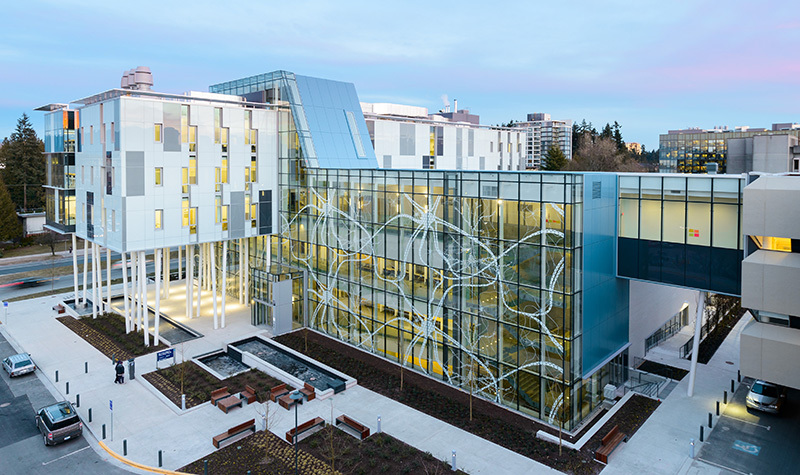 The Centre for Brain Health aims to build upon the strengths in our research environment by integrating the most promising areas of fundamental and early translational research at UBC, including advances in the following complementary areas: neuroinflammation, synaptic function and brain circuitry, and the linkages with brain imaging. These key areas of research will create transformational impact by advancing our understanding of the brain in health and disease, while also suggesting novel targets and biomarkers for clinical trials. Insights into rational therapies for treating neurodegeneration and other diseases of the brain, including mental health, are a likely result from transformational research into these complementary areas. The ultimate goal of this research cluster is to translate these novel approaches into the clinic in the form of new therapies, identify novel biomarkers to test the effects of such therapies, pinpoint populations at increased risk of future neurological and psychiatric disease, and bridge links and rapidly mobilize through collaborations between basic biomedical and clinical research programs. Collectively, this goal will have a significant impact by providing a better quality of life for patients through targeted therapies and early detection, ultimately contributing to decreased healthcare costs due to effective management of brain illnesses.